You may have noticed some changes to the website recently. We are continually trying to improve the design and function of The SkyLife and always add more knowledge and great stories. Please drop us a line on the Contact Us page if you have any suggestions or content to submit. 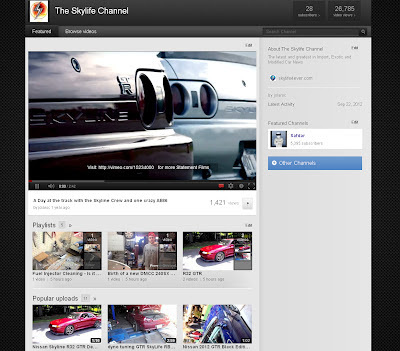 As for the changes, we've moved the Google Search bar into the Nav bar and updated The SkyLife YouTube channel with a more modern design.